Rugby League Live 3 includes the following features and more! Improved Career mode and "Be A Pro" - take a Forward or a Back through the ranks of a U20 team into a full professional squad Vastly improved Instant Replay System including super slow-mo and user defined camera placement - get right into the action! Enhanced online play including filtering by locality and Online Tournaments Dynamic time of day lighting with full sun movement and weather system giving dusk to night progress and mid game rain. All 2014/2015 rule changes, updates to current 2015 rosters and team uniforms. Over 100 teams from Rugby League competitions around the world including the NRL, Super League, Holden Cup, and many more. New Experience System: Earn badges and experience both online and off to rise to the top of the leaderboards. Fan-Hub Player Sharing - create your own players and teams and share them online across all supported platforms. Dynamic Tackling System: Fend and break tackle your way past multiple defenders and use the new dynamic Struggle and Drag system to burst over the line to score or alternatively drag them into touch!" It's fun, and probably the best Rugby game available right now - but is still far from the digital representation of the sport we fans crave. Fortunately, an abundance of tournaments, couch co-op and the Be a Pro mode provide plenty of replay value. 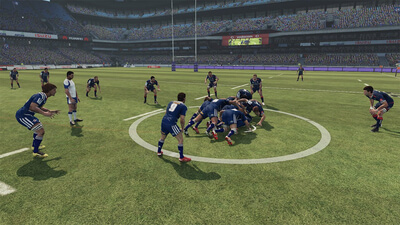 Rugby Challenge 3 brings menus, fonts, controls, modes and gameplay over wholesale from Rugby Challenge 2, adding only token extras and spicing up the graphics to fit a current generation release. 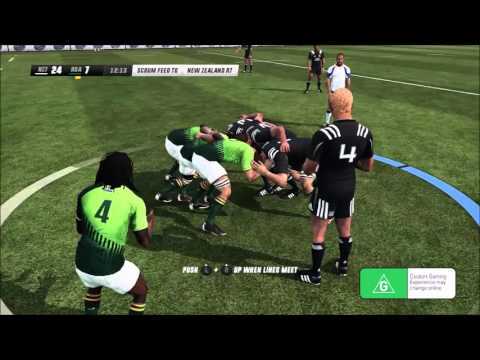 Not that Rugby Challenge 3 looks great; to compare it to Madden or FIFA is embarrassing.